This verse is probably not what you were expecting, however, for me, it is exactly what I needed. The Old Testament is full of seemingly strange laws and regulations, not the least of which is the "thanks offering". However, when you look at the thank offering, also called a fellowship offering, (Leviticus 7:11-13) or an offering of thanksgiving, you realize that it actually made quite a bit of sense. This special offering was given by those who were in right standing with God. This was someone who understood their place in the covenant relationship and wanted to express gratitude. Yet, even then it still had to be given according to the standards. This was a yeast bread offering in most cases-essentially, breaking bread with God. Sharing what you have with Him, even though He is completely self-sufficient. He enjoys our company-isn't that the craziest thought? But it's true. He made us and He loves to hear from us. Today, ready your heart for this season of gratitude. You will have to make some sacrifices, of time and energy, of letting go of some things and replacing them with others. Your offering of thanks during this season will need to be given in an acceptable way. Christ offered Himself to redeem us-to allow us to enter into the covenant through His blood. (Hebrews 9:14-15) But, we still need our feet washed at times. (John 13:10) As you pray today, thank Christ for His sacrifice. "How can I ready my heart to offer a sacrifice of thanks to God? 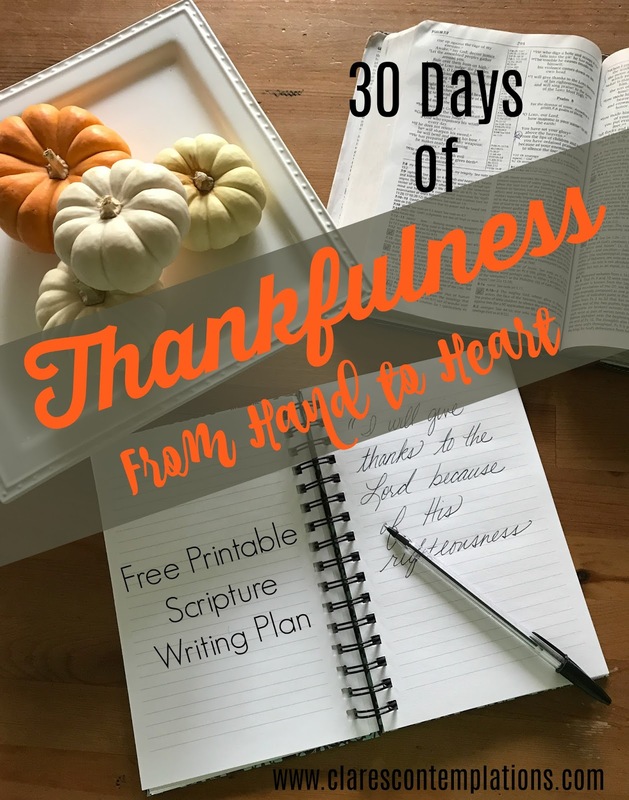 What does a thank offering really look like for me?" I have a hard time offering thanks during the holiday season. It seems like I have lost more during this season then any other time. This season I want difference I want to be the person I use to be that faith can get you through anything. I have to believe that. My dad is so strong yet right now he is so weak how can I help him if I don’t believe. How can I ready my heart and help others? I have to look deeper then I have ever before to answer this question. Faith is something I have walked away from but these post will help me guide my way again. The answer I have came up with is help I need help to ready my heart I need help from follow Christians to guide me. I have never asked for help with my faith but I need help. That is one of the most beautiful provisions that Christ made for us-to give us fellow believers to lift us up when we are weak. I will be praying for you, sometimes when it is hardest to be thankful is when we most need to show our gratitude. God is good, but life is hard. He never stops loving you. I hope that you always feel free to ask about anything-if I don't know the answer, I will help you look. Never forget that any time you draw near to God, He will draw near to you. (James 4:8) He is close to the brokenhearted, if you look for Him. (Psalm 34:18).